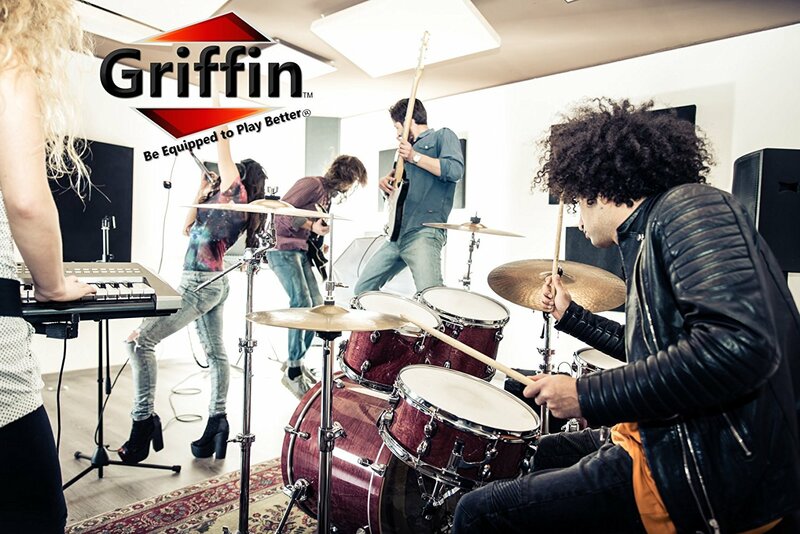 Keep Your Instruments Safely Off the Floor with the Best Wall Mount Guitar Hangers by Griffin! Whether for safely storing your guitars at home, in the studio or music school or simply for displaying them at your store, these sturdy and stylish wall mount guitar hangers will keep your precious instruments safe and sound. 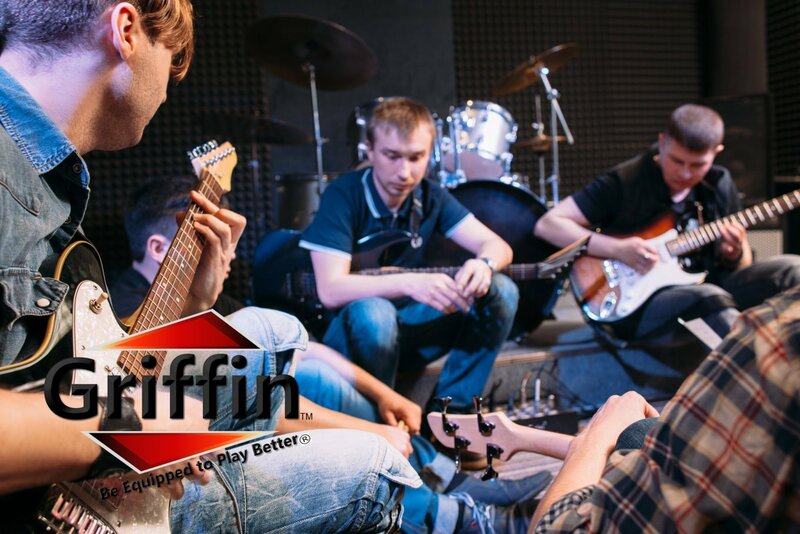 Suitable for electric/acoustic guitar, bass, violin, banjo and mandolin, they are an affordable and safe solution for any musician! Equip Yourself with a Pack of Eight, Sturdy and Durable Guitar Hooks That Will Last a Lifetime! Thanks to their all steel construction and simple design, these guitar neck holders will resist daily abuse and withstand the test of time. Their soft, black neoprene tubing will protect your instruments from unsightly scratches and keep them in place, without the fear of accidents. Forget about late visits to the hardware store! Inside the pack you will find 2 mounting screws with sheetrock anchored screws for each hook, so you can install your guitar hangers easily and fast. 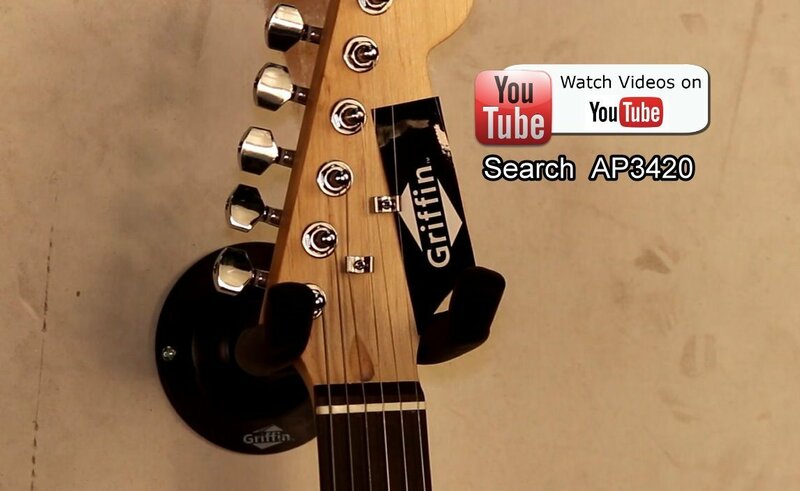 If youre looking for a set of premium quality guitar hangers at an incredible price, then you need look no further! Boasting top quality, durability and performance at the lowest price possible, this 8 pack is a unique offer you shouldnt miss! Backed by a 30 day money back guarantee and a 1 year replacement warranty, you have nothing to lose! 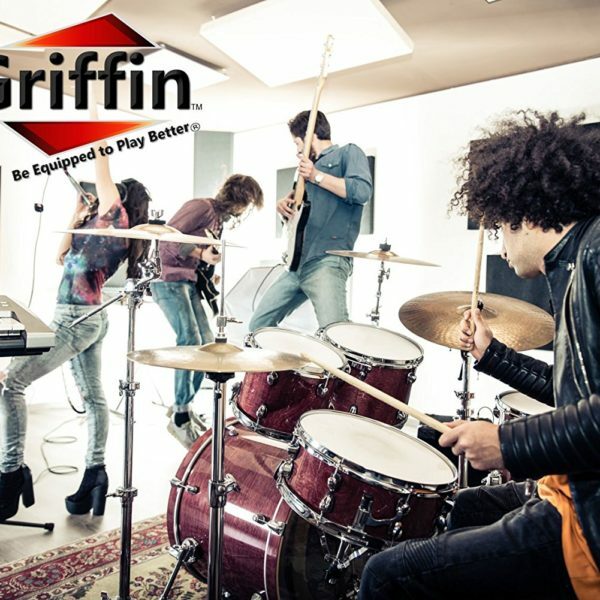 KEEP YOUR GUITARS OFF THE FLOOR: Store and display your guitars in style with the best, wall mount guitar neck holders by Griffin! 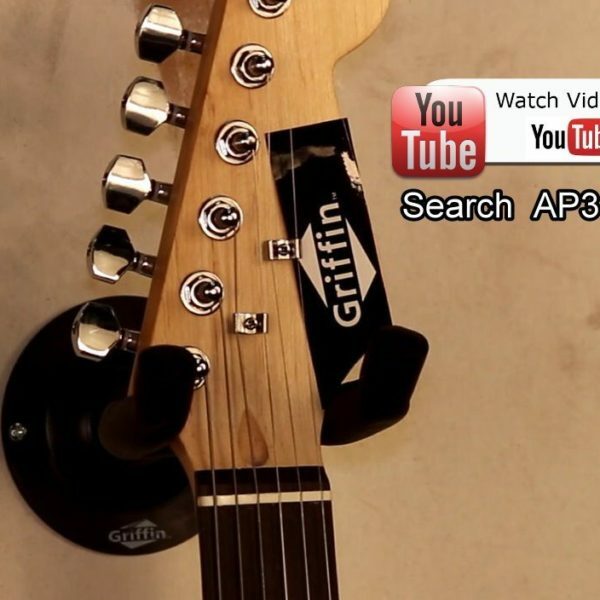 Whether for the practicing student, professional performer or music store, these premium guitar hangers are suitable for any guitar (electric, acoustic, bass) or even violin, mandolin, and banjo. 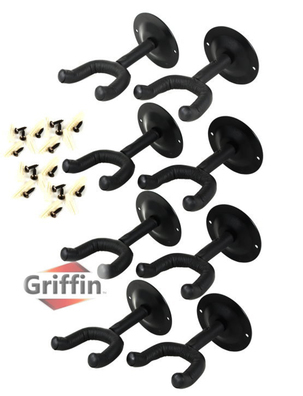 Available in a convenient set of 8 hooks, it is a must have for any musician. PREVENT ACCIDENTS: Thanks to their robust design and extremely sturdy construction, these wall mount guitar hangers will safely keep your precious instruments off the floor and out of the way, without fear of accidents. 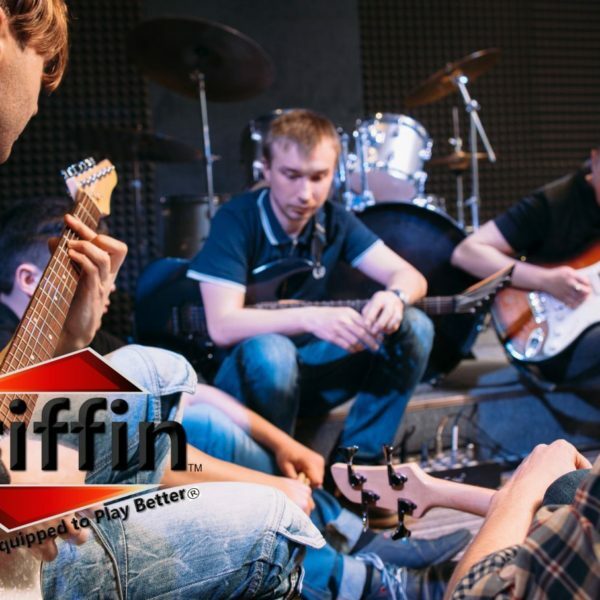 Their slightly curved edges will prevent the guitar from turning, while in the holder and the soft, black, neoprene rubber tubing provides extra protection, leaving no marks on your guitars’ color or finish. BUILT TO LAST: Boasting an all steel construction that will not break, chip or rust and will last for years to come, this is a deluxe set of guitar hangers that won’t let you down. Its simple design is ideal for anyone looking for a proven, highly practical and affordable guitar storage or display solution that works. Specifications: Shaft length 2.5″. Weight load for each hook: 40 pounds. Base diameter: 3.25″. READY TO USE RIGHT OUT OF THE BOX: Included in this pack you will also find all the necessary hardware to mount your guitar neck hangers on the wall and start using them right away. For each guitar hook there are also 2 mounting screws with sheetrock anchored screws to help you install the hangers easily and fast.  ENJOY THE GRIFFIN QUALITY WARRANTY: Dedicated to providing our customers with top quality products and excellent customer service, we offer you a risk-free factory 1 year replacement warranty of complete satisfaction! With nothing to lose, place your order today!